This medium town in the north of Italy share many culinary tradition with Emilia Romagna. There you will find hard cheese, red sparkling wines, stuffed egg pasta, vegetable and fruit preserves aromatised with mustard, and cured meats. Mantua produces both Parmesan and Grana Padano. 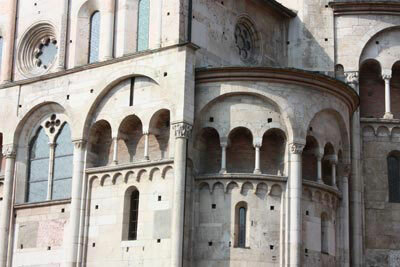 The former is only produced in a small area south of the Po river near the neighbouring province of Modena. Of course it is possible to visit the Parmigiano Reggiano producer in the area. Grana Padano is still a PDO cheese however it is considered of lower quality due to the use of anti fermentative in the ageing process. Pumpkin the queen of the mantua cuisine. Manuta lays in the flat of the fertile Padana plain, traditionally pumpkin, melons and watermelons grow plentiful. Especially pumpkins find the way in the local cuisine. Typical tortelli di zucca are egg pasta parcels stuffed with the delicious vegetables. Sometimes to the filling it is added some crumbled amaretti biscuits, giving to the savoury dish a truly unique taste. It is recommended to try them topped with Parmesan and balsamic vinegar. In this area of northern Italy is alo tradition to cook pasta dumplings in capon and beef brisket broth. In Mantua the resulting meat is eaten hot or cold accompanied with mostarde. These are preserved fruits and vegetables with a hint of mustard. So if you are visiting in winter you cannot leave without savouring bollito misto (mix boiled meats) with it matching mostarda. Torta sbrisolona and torta di tagliatelle. Torta sbrisolona is the Italian version of the crumble cake, it is traditional and probably inherited from the royal banquets in the region. As the name says it has a crumbling texture and it is topped with almond and sugar. It is possible to taste with your coffee in the cafes’ in the main piazza. Torta di tagliatelle is an amusing short crust cake topped with ordinary egg tagliatelle which are baked together with the base. The result is a unique crunchy texture, simply divine. Relax on the 2 lake of river Mincio. Mantova as we say in Italian, It is the pearl of Padana plain. In fact the city sits between 2 lakes forming from river Mincio which is formed from the run off water of lake Garda. In short the town the embraced by the 2 lakes and it must said that it is very nice to lounge on the lake banks in the summer hot days.